What Is SEO & How do our SEO Services Work? Search Engine Optimisation (SEO) is the ongoing process of increasing quality traffic (organic visitors) to your website by boosting the rankings of your keyword search terms. To achieve this, your website needs to be found and accessed online by search engines in order for your users to engage with your brand and content online. Get SEO Quotation Now. There are many boxes to be ticked from a search engine perspective and many of these revolve around technical aspects of your website and Technical SEO. A quality SEO campaign equals quality website traffic. It is essential to maintain the perfect balance between Technical SEO and User Engaging SEO. Users will engage with and convert on your website but search engines need to find your website, access your website and then show your website to users who have typed in a relevant search. We utilise advanced SEO Tactics and SEO Services to target different kinds of search queries, ranging from Voice Search, Localised SEO searches, Informational Search Queries, Image Search, Video Search as well as Semantic Search. Our bottom line is to maximise your companies revenue by growing your digital visibility, increasing online rankings of core search terms as well as generating quality website traffic that converts to revenue. Search engines need to find your website, access it and show it to your audience. The user then needs to be intrigued and convinced to click on your organic listing. 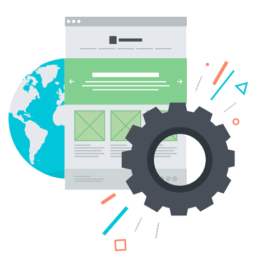 There has to be a perfect balance between optimising your website for the technical aspect as well as the user aspect. We ensure that all elements of On-Page SEO is perfectly optimised for the search engines as well as being user friendly – you only have three seconds to capture your audience in the search results. We craft a unique and tailor made Off-Page SEO strategy to gain quality backlinks pointing to your website in order to raise the overall website trust, authority and rankings online. We monitor for any toxic or harmful backlinks that may hurt your website and report on these as well. Before we do any optimisation we need to understand every aspect of your desired goal and business requirements. What do you want your website to achieve? Who do you want to target and how much revenue per month do you need to generate from your website? These are only a few core questions we will ask you before we design your unique digital strategy. We do not waste time with false KPI’s and technical confusing talk. We get a thrill out of showing results month after month and we focus on the bottom line – maximising your revenue. No SEO or digital strategy is the same. Each client has their own goals therefore we spend a lot of time engaging with your business in order to understand what you need and how we can achieve it. 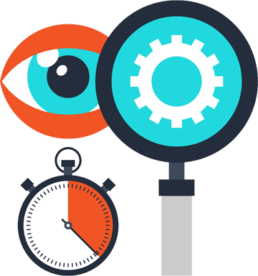 Once we have defined your business goals and have conducted extensive market research, trends and keyword research we fully optimise your website for Google compliance, SEO best practice and user journey. We define your audience and get to understand exactly what they need. We then target them by creating unique and relevant content which encourages user interaction, engagement and networking. We drive quality traffic to your website. By utilising advanced techniques, link building and audience networking we will create a stir for your brand online and build up website trust in the process. This leads to an overall increase in website rankings, authority and revenue. We don't waste time with fancy graphs and technical data which means nothing. We use all of our technical skills and website data to present you with no nonsense performance based reporting. If we do not perform to your satisfaction - you have a right to move on.